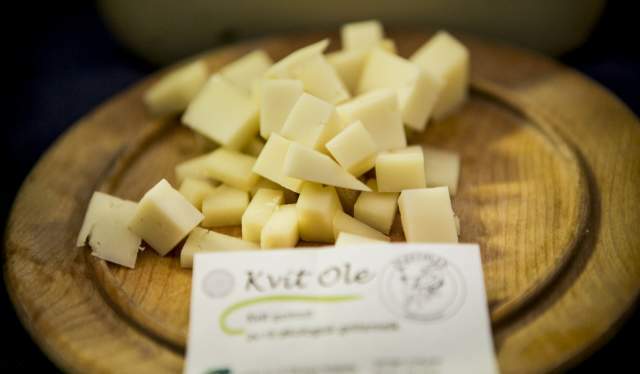 A year ago, Kraftkar cheese, which is produced by the small cheese factory of Tingvollost in the Nordmøre district, walked away with the title of "World's Best Cheese". When the World Cheese Awards or Cheese World Championship was once again held in London last Friday, there were no less than 40 Norwegian cheeses from 17 Norwegian cheese manufacturers in the competition. There was no Norwegian world champion this year, but the Norwegian cheeses did not go unnoticed. With 17 Norwegian medals, there is no longer any doubt that Norway is a cheese nation to be reckoned with, now and in the future. Bernt Bucher-Johannessen, General Manager of a commercial organization for rural tourism called HANEN, believes that almost half of the Norwegian cheeses receiving a medal is a result for which there is every reason to be satisfied. "We have become a cheese nation deserving of respect, and we will come back even stronger next year," he says. That&apos;s when the Cheese World Championship will be held here on home turf. This weekend, it was announced that Bergen had been granted the championship in 2018. New small and local cheese manufacturers are constantly popping up. 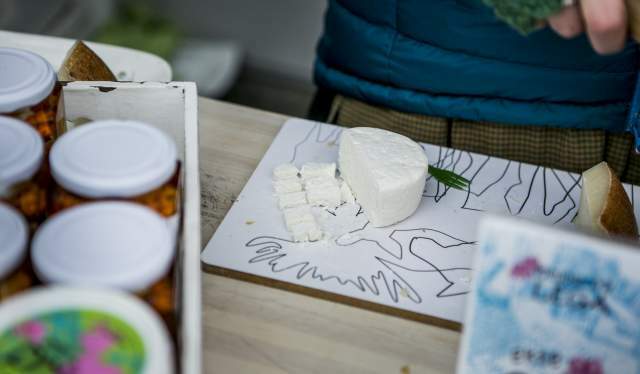 If you visit one of the many food markets here in Norway, you will often get to try out exciting new flavours created by dedicated and innovative cheese farmers. Bucher-Johannessen says that the development of Norwegian cheeses is a result of several processes occurring over the past couple of decades. "Norwegian cheese was irrelevant 25 years ago," he says. Changes in agriculture along with efforts aimed at increasing the popularity of locally produced foods have been central to the development of which we are seeing the benefits today. Bucher-Johannessen says that inquisitive farmers who have been willing to take a chance – including key players such as Pascal Baudonnel and Gjermund Stormoen in the organisation, Norsk Gardsost – as well as cooperation from authorities who have made it possible for the Norwegian farmers to process the milk they produce locally, are three important factors. No less than six Norwegian taste judges were at work when the world's best cheeses were being selected at the World Championship. One of them was May-Liss Røsberg Heggland, a certified cheese judge whose day job is as a product developer at TINE. "We are a total of 250 judges present during the World Championship. With 3,001 cheeses to be judged, there is a limited number of cheeses each judge can evaluate. The process is therefore divided into sections with 50 kinds of cheese, and four judges taste their way through each batch," she says. Norske dommere på World Cheese Awards, May-Liss Heggeland er nummer to fra venstre. All the cheeses are evaluated based on their appearance, consistency, and whether or not their flavour maintains a sound balance between acidity, bitterness and sweetness. After having seen and tasted cheeses from around the world, she finds that Norway has achieved an extreme breadth in terms of which domestically produced cheeses we can now offer. "After tasting many renowned and highly praised kinds of cheese from countries such as Italy and France, I think that we have become very skilled in Norway," she says. Many excellent local farm-based cheese factories have emerged in recent years. Røsberg Heggland believes that the victory of Tingvollost cheese in 2016 was ground-breaking for the entire industry. "We suddenly realized that &apos;we can make world-class products&apos;," she says. It is by no means only smaller cheese producers who made their mark in the Cheese World Championship. Dairy giant TINE had five of their cheeses in the running and took the gold for their white mature goat cheese from the dairy at Storsteinnes, and bronze for a well-matured Norvegia cheese produced in Jæren. "In Norway, we have the raw ingredients and the skill to produce world-class cheese. We have now made it fully onto the scene, and things can only get better. The recognition now being enjoyed by the Norwegian producers provides new motivation and good vibes for creating more exciting cheeses," says Røsberg Heggland. "Today, it is no longer a problem for a restaurant to have a cheese cart that only features Norwegian cheeses," says Bernt Bucher-Johannessen of HANEN. He believes the introduction of cheese from abroad has been an important source of inspiration and a major reason why today's selection of Norwegian cheese consists of a wide range of internationally known types of cheese, with cheese made the milk of cows, goats, and now also sheep. Greater diversity and variety in local food production is an international trend that is not unique to Norway. "However, Norway is very far ahead with its cheese," says Bucher-Johannessen. In the future, it will be important to highlight the diversity to Norwegian and international consumers so that this development may continue. "We now have a fantastic variety of cheeses for consumers to enjoy," says Bucher-Johannessen. "It should be a manifestation of Norway as a food nation where we will present everything Norway can offer with regard to various foods, beer and cider in a larger context," says Bucher-Johannessen. The goal is for the Cheese World Championship to become a huge feast where the audience can enjoy such things as the world's largest cheese platter. "We are dedicated to the notion of Bergen as a culinary destination, both in order to make Bergen dwellers more aware of all the good food that is produced here, and to make our city even more attractive to visitors," she says. Andersland was herself in London along with Norway's Minister of Agriculture, Jon Georg Dale, to officially pick up the gauntlet from this year's host city. "This will put Norway on the map as a food and cheese nation while also giving Norwegian cheese producers a unique opportunity to show off their products. Welcome to Bergen and Norway in November 2018," says the Minister of Agriculture to the TV channel.